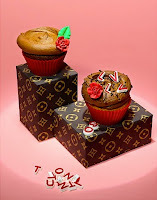 The best way to own a designer item without breaking the bank: fashion cupcakes! 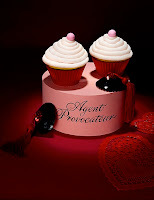 Give a mouthwatering, lip-licking hello to the most fashionable cupcakes to hit the blogosphere. 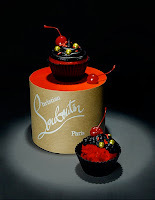 Created by Swedish stylist Lisa Edsalv and photographer Therese Aldgard, these designer goodies look too good to eat. With designs for fashion powerhouses Chanel, Christian Louboutin, Vera Wang, Louis Vuitton, Agent Provocateur and Betsey Johnson, this team knows how to make luxe creations. These creations have my fashion and sugar cravings in overdrive. 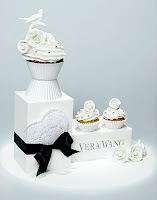 I'm swooning over the delicate details in Vera's bridal cupcakes, the suggestiveness of Agent Provocateur's design and the red finish on the Louboutins. 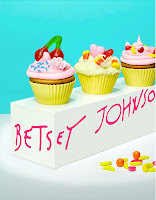 I'm also loving how the Betsey Johnson cupcake perfectly catches the fun-loving essence of the fashion designer and how the LV's are as sleek as the brand itself. 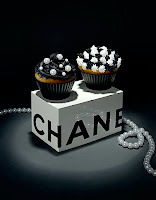 It is Chanel that truly takes the cake. The quilted goodness looks good enough to wear and would surely make Coco proud.